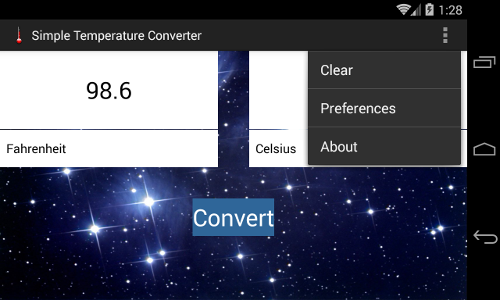 This android application was the first project I created when I was learning the Android SDK. 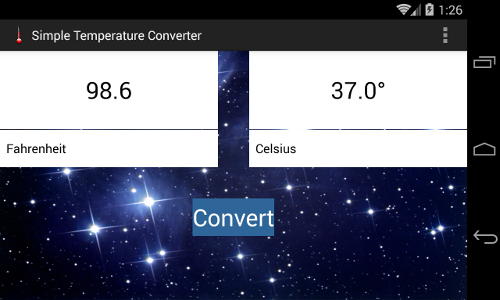 the application can convert between Fahrenheit, Celsius and Kelvin. Background is not loading (Isue found with LG G3). Fixed by lowering background image resolution to 800x600. The application can convert between any of the 3 formats. The application does check to make sure that you are not converting from one format to the same format. 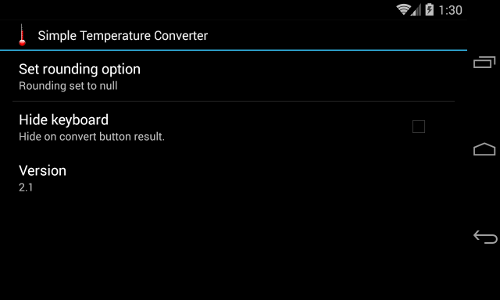 The rounding mode can be set in the application preferences. 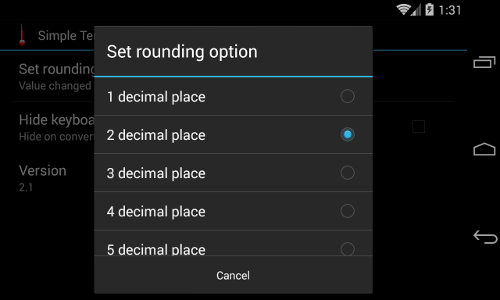 The rounding mode can be set between one and six decimal places.